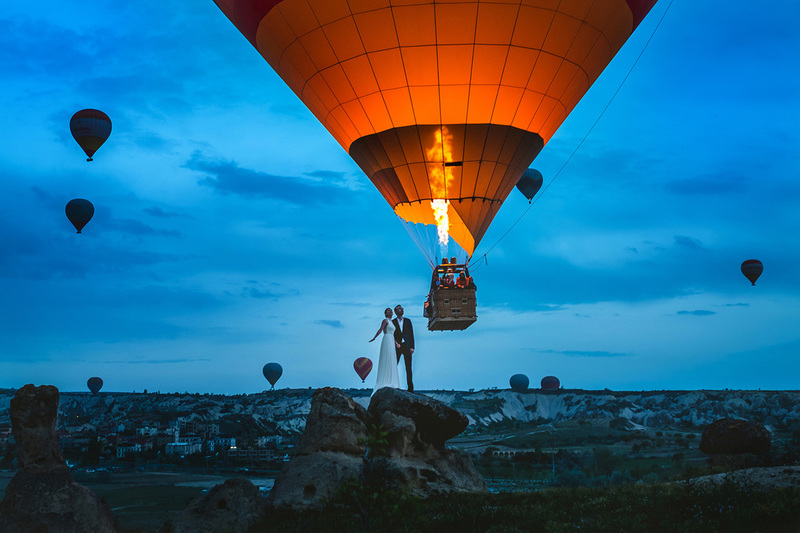 UFUK: It was an engagement session at Cappadocia Turkey. I really love the balloon fire next to the couple at the sunrise time. I was in right place at right time. I really love harmony of the blue and orange colors as well. 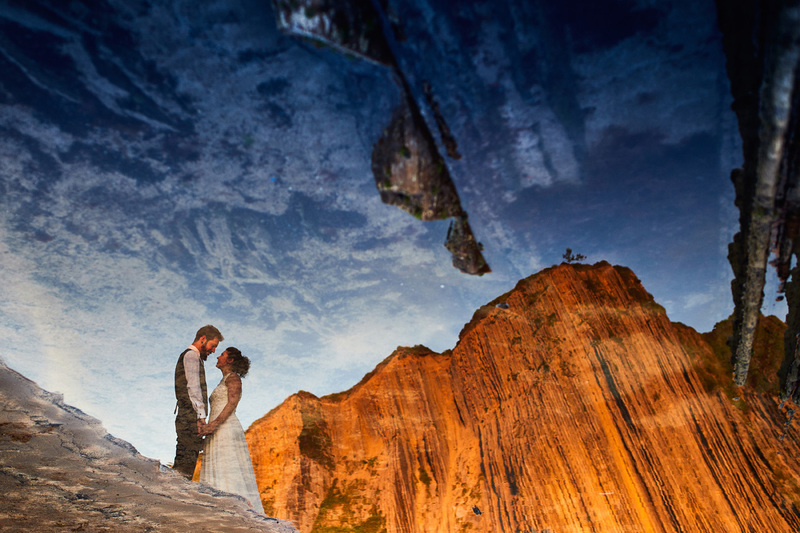 Ufuk Sarisen is a professional wedding photographer in Istanbul. MATOUS: It was just split-second glimpse the boy gave the couple during their first kiss. It was impossible to see it or plan it beforehand. I am so lucky I included him in the frame so this hilarious look could be captured forever. I think it is some kind of intuition i have, which allowed me to see it comming without realising it. 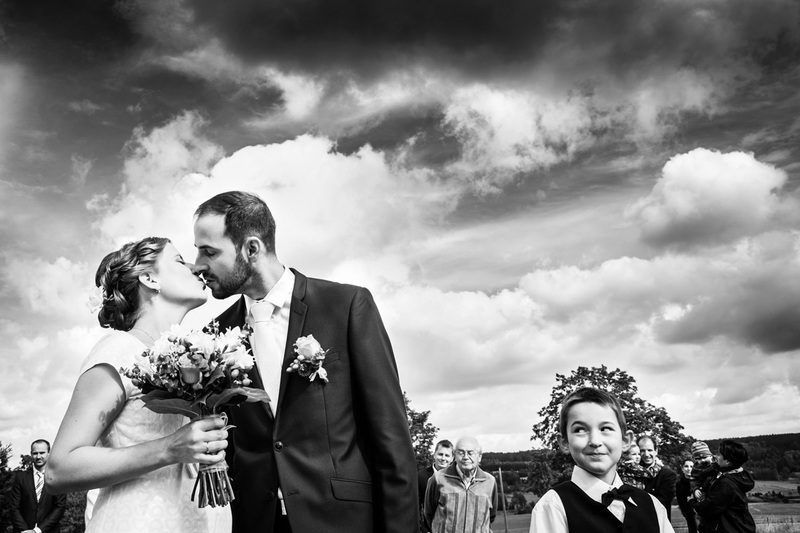 Matous Barta is a professional wedding photographer in Prague. 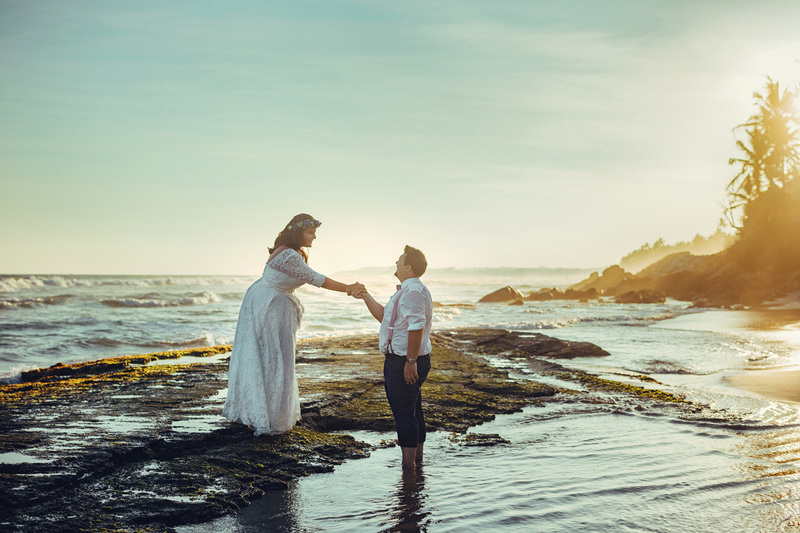 JOSÉ: I took this photo on June 24 of this year in a Trash the Dress session in Euskadi, Spain. This is a beach called Itzurun, in Zumaya. Some scenes of Game Of Thrones were taken in this amazing place. The couple, Raquel and Dani, were very excited to traveling to this location from Zaragoza. It was a long travel, but It was worth it. I love the connection of the colors and the texture of water. The photo was rotated in post-production. Raquel and Dani are very good friends of mine, and for me was very special to give them a image such this. They love it and that's very important for me. José Manuel Taboada is a professional wedding photographer in Zaragoza, Spain. EVELYN: This wedding felt so special and so genuine. So many details had been made by the couples themselves, even the benches that their guests was sitting on during the ceremony was handmade by the groom. I got them out for the golden hour and the sun was lost behind some clouds. We did find this stunning and strange house that the couple loved and managed to get this stunning panoramic photo. It felt like the wooden house with the different shape was just like the couple wanted their wedding and the details to be! 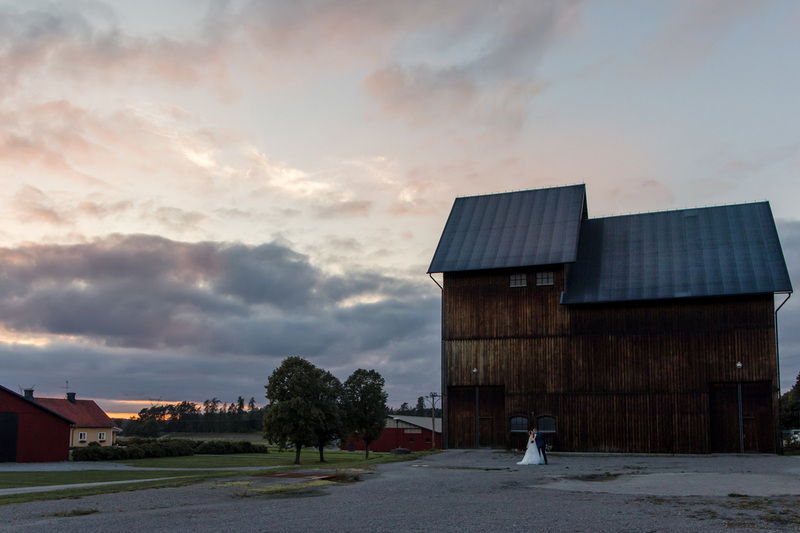 Evelyn Wallin is a professional wedding photographer in Stockholm. JASON: There's no end to the expressions of joy and gladness you see on a wedding day, but even with all of that happening around you, it can be difficult to capture all of it in one photo. This one's a favorite because of all it captures. 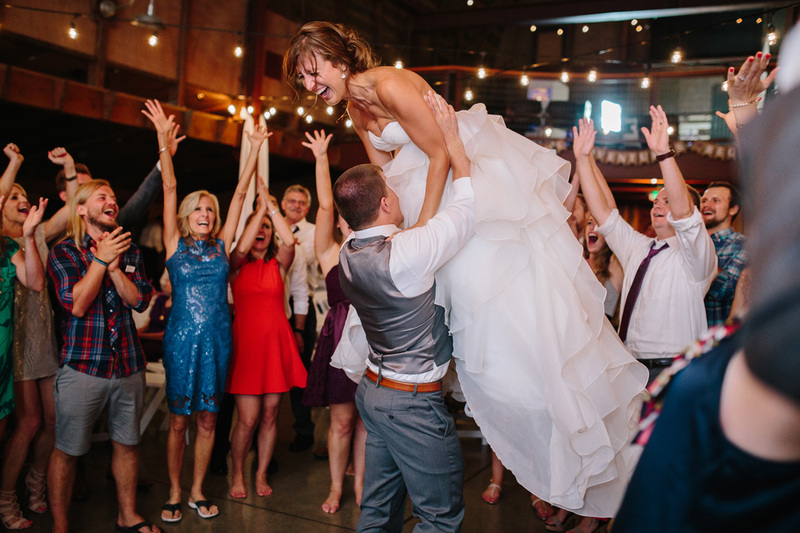 The joy and exuberance of the bride and groom, and the approval and celebration of friends and family. Just as it should be! Jason Comerford is a professional wedding photographer in Seattle, USA. Laetitia Patezour is a professional wedding photographer in Milwaukee, USA. 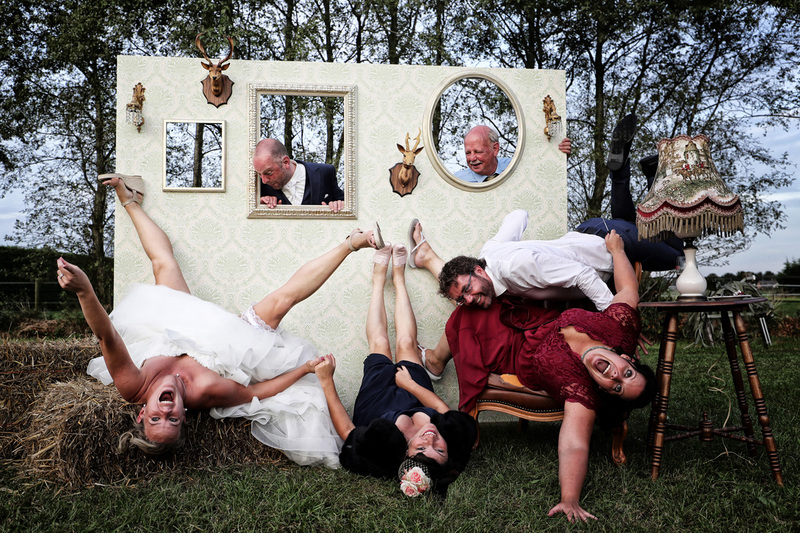 Wim Wilmers is a professional wedding photographer in Nijmegen, Netherlands. 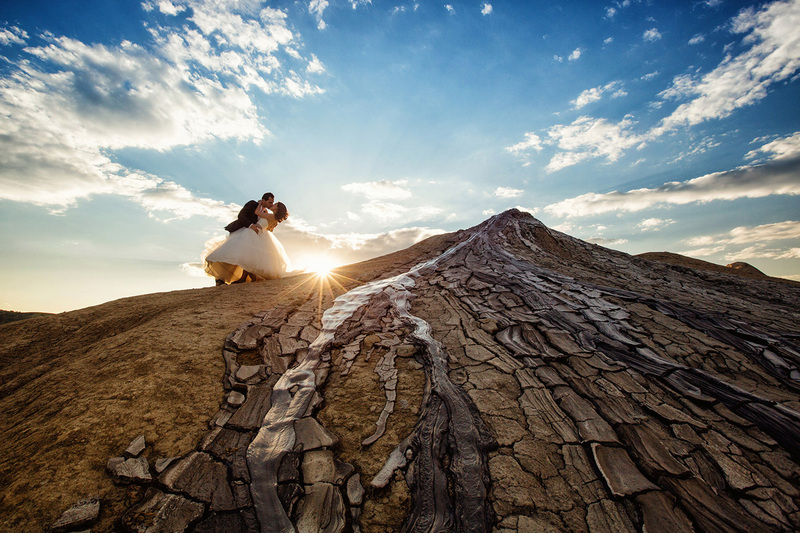 CIPRIAN: I love this photo because I have a great time with the bride and groom in a magic and unique place from Romania - The Muddy Volcanoes and after 5 years we still met almost every year for photo sessions or important family events. This remind me that a good photographer is the one who offer a great experience to their clients. 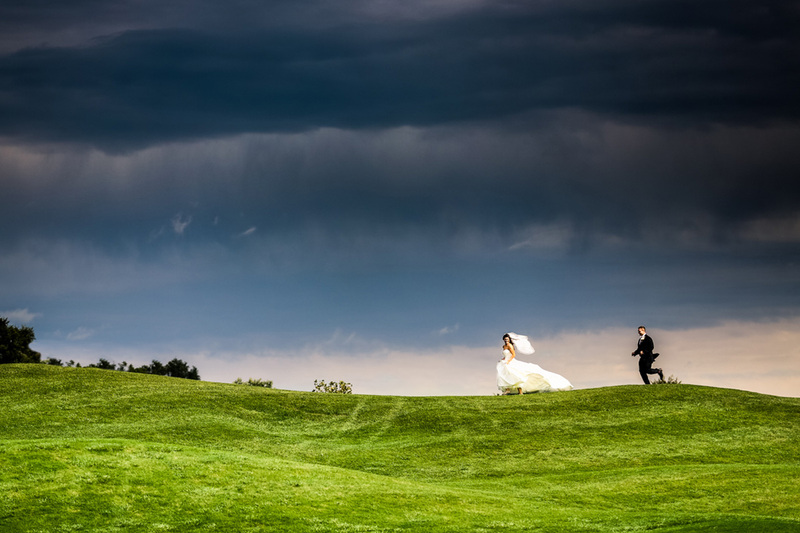 Ciprian Dumitrescu is a professional wedding photographer in Bucharest. NADINE: My first destination wedding took me out of my comfort zone. Out of Europe, to fascinating Sri Lanka. After their German civil wedding in 2017, Ramona and Dennis decided to marry a second time in March 2018 at a beach on Sri Lanka and they asked me if I would travel with them - for sure! I thought "Okay, no stress, just the couple and me, the beach, the sea - just relaxing..." Haha - far off! Felt temperature about 39degrees, 85% humidity, burning feet in hot sand and on top a bride who didn't get ready. The Singhalese make-up artists created a "different look" as we booked, so I threw my camera upon the bed and had to touch up the make-up myself, the bride corrected her hairstyle. To make matters worse, the bridal gown had torn laces on its back. But all in all we made it through - together! It was an utterly emotional and amazing experience which I will never forget. Right after the ceremony we took some portraits, this is one of them. Nadine Lotze is a professional wedding photographer in Munster, Germany. SONG: This couple is just a fun and the sweetest couple. They are laid back and up for anything for pictures and just trust in me. They wanted to have a first look before the ceremony begins. And I always carry a few funny and cute sleep masks in my camera bags just in case some idea shots strike my head. So it happened to this couple. I asked the groom if he would like to wear one of the sleep masks not to see his bride until both of them face each other. So there he goes walking carefully and excitedly with the cute sleep mask on. The bride was smiling and laughing about him while he is walking toward her. 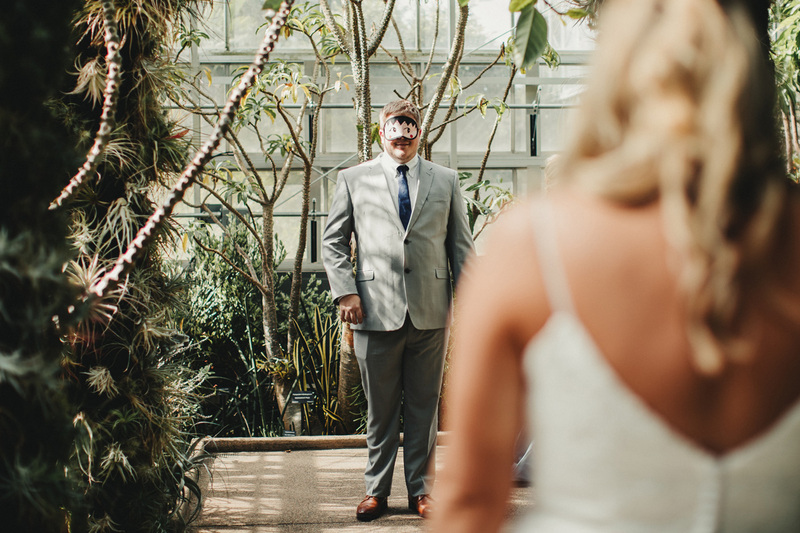 The short moment was very cute and fun, which turned into an emotional moment when the groom takes the mask off to see his bride for the first time on their wedding day. Song Johns is a professional wedding photographer in Charlotte, USA.